The Bendigo Bank Cats have retained the K Rock Cup with a nail biting three-point win over Werribee on Saturday. 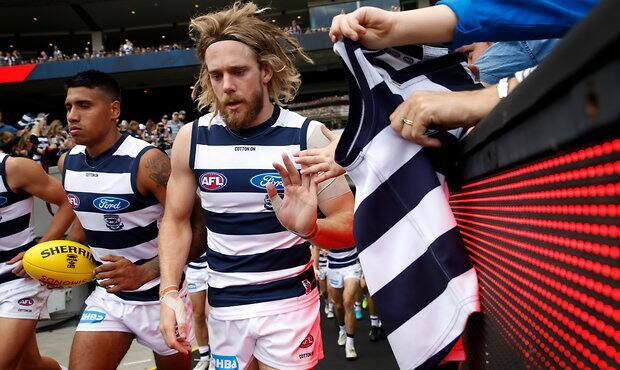 Geelong has named its final team that will play Hawthorn on Easter Monday. 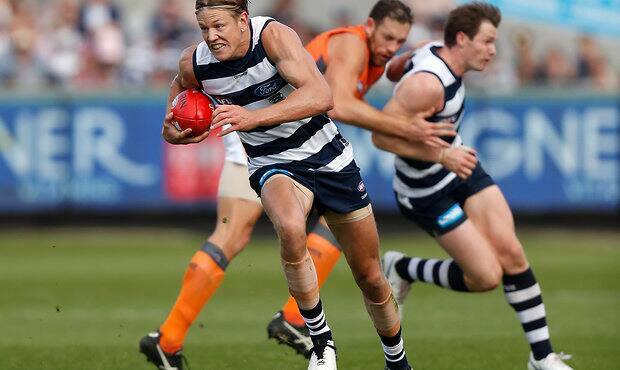 Here are the Cats taking it to the league. 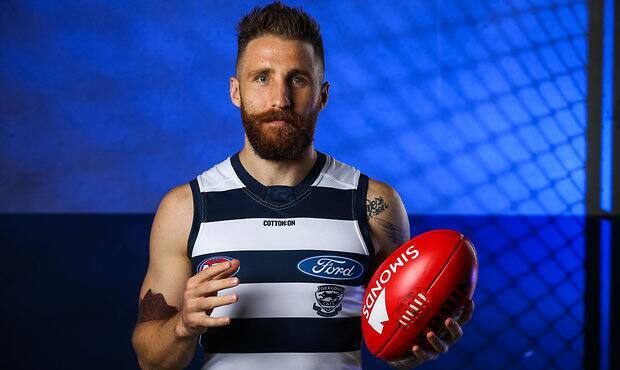 Zach Tuohy has been named to make his football return against Werribee on Saturday. 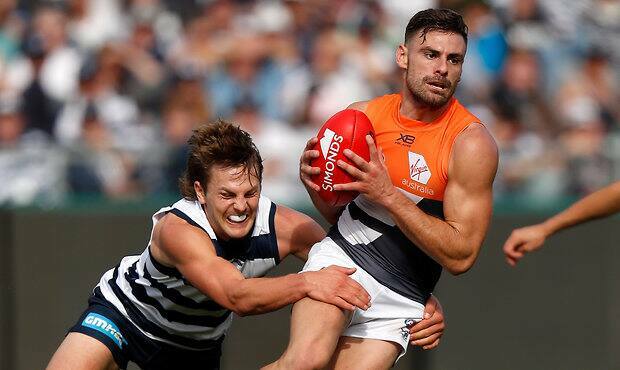 Charlie Constable is set to be rested against the Hawks. 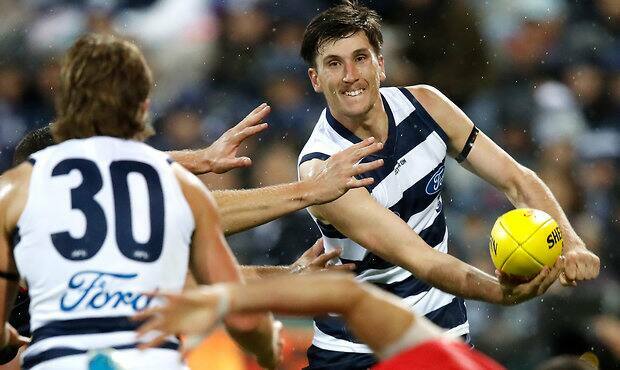 Geelong named team to face Hawks on Easter Monday. 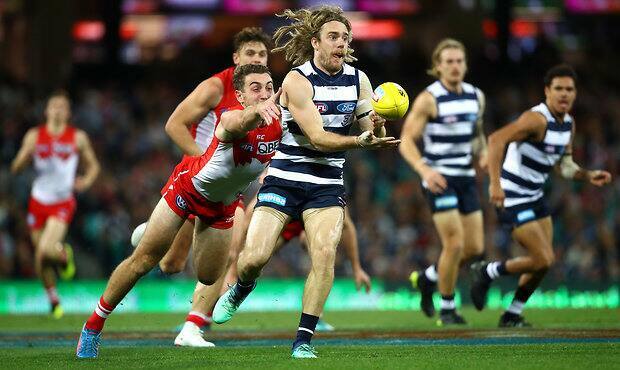 Rhys Stanley’s form on the football field is a reflection of him being in a ‘happy place’ off it. 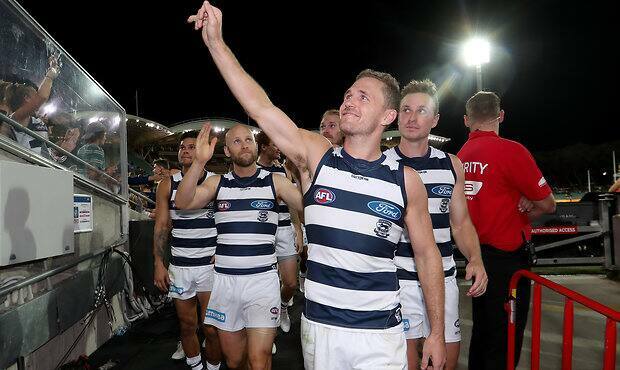 Joel Selwood will qualify for AFL Life Membership against the Hawks. The panel is back to dissect all the weekend's action. #15 Cobra raced by Henry Green with a best time of 0:13.1260. We hope to see him back on the track this year! #15 raced by Henry Green with a best time of 0:13.1260. Photo - HAPPY INTERNATIONAL WOMENS DAY - #tbc girls celebrating their love for the ocean! HAPPY INTERNATIONAL WOMENS DAY - #tbc girls celebrating their love for the ocean! Photo - Stirling Moss, Maserati 250f, Monaco. Stirling Moss, Maserati 250f, Monaco. Video - TBC's Xavier Huxtable future looks bright! TBC's Xavier Huxtable future looks bright! #singlefin proudly sponsored by Quiksilver .. Please look after our coastline’s future - say NO to Equinor - get your submissions into Nopsema NOW - link in our bio! Photo - Get on down to Cosy Corner/ Front Beach on Sunday for the ‘Paddle Out for the Bight’. Get on down to Cosy Corner/ Front Beach on Sunday for the ‘Paddle Out for the Bight’. 12noon - head down with your mates, with your signs and with your boards, flippers or doors and have your voice heard! Please look after our coastline’s future - say NO to @equinor - get your submissions into Nopsema NOW - link in our bio! We're already into our third month of 2019 and before we know it Geelong Revival Motoring Festival will be just around the corner! Taking place this year on the 22nd - 24th November. Check out these shots from 2018 to get you excited! The #greataustralianbight is so so special, and the potential for an accident in the Roaring Forties is too great, and renewable energy is the future! Photo - Tag a friend!! @peachs.torquay keeping the groms fueled up with delicious, healthy and juicy fruit! Thanks for supporting TBC! Video - Juniors AGG 2 is ON! Fun 2ft - light onshore conditions! Juniors AGG 2 is ON! Don’t forget gold coin donations for BBQ! Video - Meanwhile.... up north... cyclone Oma providing the goods! Meanwhile.... up north... cyclone Oma providing the goods! Round 1 of the Woolworths Surfing Victoria Victorian Junior Surfing Titles at #gunnamatta was dominated by #tbc groms! Congrats to all the winners & competitors! Photo - Meet a great friend of Geelong Revival! Meet a great friend of Geelong Revival! Recently, TBC Communications and Media Rep, Nathan Rivalland, caught up with TBC's reigning Open Mens division champion Tully Wylie. Check out some of the chat below. Stay tuned as there is more interviews to come! be sure to tune in to the @nudiejuice Australian Boardriders Battle Series Final LIVE on @foxsportsaus this coming weekend to watch the Bells Angels compete against the best in the country! Here is @adamrobbo1 on his way to taking out the OPEN Men’s FINAL in autumn like conditions! Huge thanks to everyone that helped out with this unforeseen 2-day event! Photo - Will Huey provide this Saturday???? Will Huey provide this Saturday???? TBC Seniors first aggregate kicks off this Sat! Registrations have been coming in hot - rego’s close tomorrow at 3pm! No exceptions! Link in our bio - remember: you MUST be a current financial member to compete! Photo - TBC Seniors competition kicks off this coming Saturday at Jan Juc! TBC Seniors competition kicks off this coming Saturday at Jan Juc! ** you must be a current financial member to compete! Photo - Which board will you choose for the TBC day ‘Single Fin’ comp? Which board will you choose for the TBC day ‘Single Fin’ comp? Limited entries will be available on the day... so get YOUR entries NOW! Rego link in our bio. Set up 9:30am - heats start at 10am! Presentation and after party at Bar61 @boardriderstorquay . Photo - Ford powered special with plenty of history. Ford powered special with plenty of history. Recently, TBC Communications and Media Rep, Nathan Rivalland, caught up with one of our up and coming females in the club 'Angela Ball'. What a huge weekend of surfing! The Masters took to the water yesterday at Jan Juc for the @surfingvictoria Vic Masters Titles presented by @coastline_advice ! Photo - What a day!! Jan Juc had it all ... sun, surf, wind, helicopters, big fish ? What a day!! Jan Juc had it all ... sun, surf, wind, helicopters, big fish ‍️ ️ #torquayboardriders Junior year has begun with a bang! Thanks to everyone who made this day a huge success! Photo - Thanks TBC groms for coming to @supatrampgeelong and supporting our club! Thanks TBC groms for coming to @supatrampgeelong and supporting our club!